The most obvious question about the Sony a7S II right now is: Just how much better is it than the original a7S in low light? The earlier model already had the reputation of being the king of small cameras in low light. Improving on it was certainly a tall order for Sony. 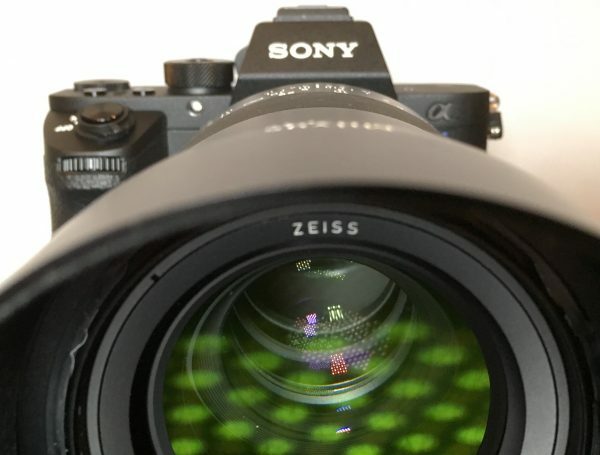 The two cameras share the same full frame 12.4 megapixel CMOS sensor, but the newer camera is said by Sony to have been tweaked for better performance. Even though the original high ISO image a7S comfortably bests its rivals from Panasonic and Canon, it isn’t without its weaknesses. If you want to shoot Sony’s S-Log 2 then the lowest ISO you can do so in is 3200. On bright days this can be problematic. Also, a green tinge appears to the image as you move the ISO higher, which can lead to slightly unpleasant looking skin tones which are hard to correct. In artificial light the Sony a7 cameras have tended to perform less well colour-wise than some other cameras. The test setup with Atomos Ninja Assassin, Varavon Zeus cage, Zeiss Milvus lens and Metabones MkIV Smart adapter. At the recent Sony event I attended in Germany we compared the two cameras side by side in a relatively controlled environment with a model. Both were set in tungsten white balance, S-Log 2, S-Gamut and set to record 4K ProRes HQ externally to an Atomos Ninja Assassin for optimal image quality. 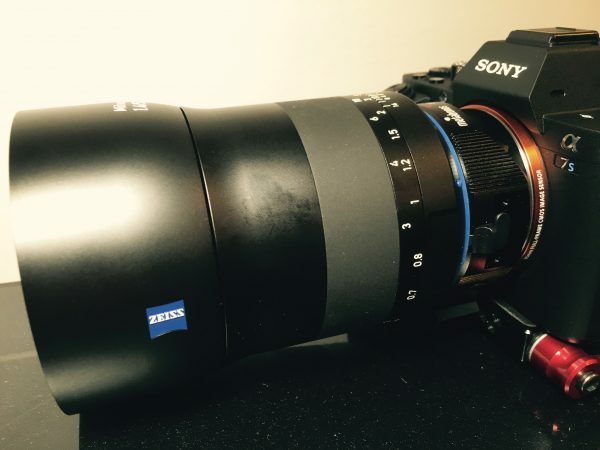 The lens was a brand new Canon-fit Zeiss Milvus 50mm mounted on a Metabones MkIV Smart Adapter. The tungsten lighting was from Dedolights, which has a reputation for being colour accurate – especially when dimmed. We lit the scene so the exposure started at 1/50th at f4 at ISO 1600. As the ISO increased we used a combination of aperture and shutter speed to keep the exposure constant. At the start of the test the two cameras look quite similar. The a7S II has the obvious advantage of the 1600 ISO base setting which looks nice and clean. At 3200 and 6400 the cameras are hard to tell apart, but as the ISO goes higher the differences become clearer. The image is cleaner on the a7S II and by the time they reach their maximum ISOs the difference is really striking. The other thing that is very obvious is the colour. The original a7S green tint rears its head quite early on and gets progressively worse. The a7S II by comparison doesn’t exhibit it at all – a clear win for the newcomer. In fact, for the test, I had left the original a7S set at +1 magenta by mistake because I was trying to cut a bit of the green tint out on my last shoot. Even with this correction in place, the a7S II is the clear winner. (PS – apologies for the colour chart being upside down for one of the cameras. I didn’t have time to redo the test after spotting it). To get an idea of how the footage looks graded I applied a Filmconvert a7S LUT to all the footage. Although it is not designed for the a7S II it demonstrates even more just how close the colour of the footage is at lower ISOs, and the green tint at higher ones. So the new camera wins, despite having the same sensor. If you are thinking of upgrading from the a7S then you probably want to ask yourself how often you really shoot in super low light, or how often the 1600 ISO S-Log setting will be useful. But if you want to crown a camera as low light king then it has to be the a7S II.